13.06.2017 13.06.2017 | Science Fiction, Space Exploration, Star Wars permalink. Our purpose is to consider the Top 10 Star Wars board games. Each game below from 1 to 10 is still interesting and worth your attention. Try all these games. And may the force be with you! Star Warriors is the space combat game with X-Wings and Empire spaceships in the center of the action. In this game, you fill fly the space fighters the same way as the heroes of the movie do. The rules of the game are rather comprehensive. However, one fast reading is enough to master the game. No Star Wars fan can stay indifferent towards the icy world of Hoth with its eternal snows, fearsome creatures and, of course, the famous battle with the great Empire vehicles falling down. This game is about this battle. If you play for the Empire, your objective is to destroy the Shield Generator. If you play for the Rebels, your objective is to forestall the victory of the Empire. The gameplay uses the unit strength and damage. Dice determine the superiority of forces. 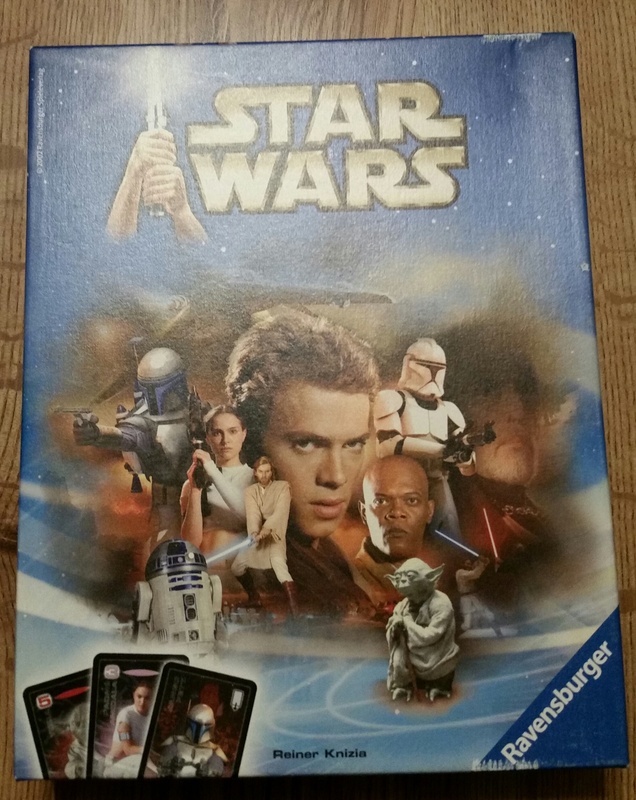 Do you think it is a good idea: to combine a legendary star saga with a legendary board game? The game is asymmetrical: the Rebels should kill the emperor, Empire should eliminate the rebels and the Hutt should control 10 planets to win the game. The Empire can use a death star and the Rebels can grow in force during the game. Any player has its heroes like Luke Skywalker, Darth Vader, Han Solo, and Boba Fett. Cards, ships, and the Force enhance the usual rules of Risk to depict the amazing universe of the Star Wars. This board game was the second best-selling board game in the world from 1995 to 1998. One player plays for the light side and another one plays for the dark side. The objective is to make your opponent spend all his cards. There are many planetary and space locations. They can swap during the game and each one of them affects the game. There are many additional game sets. The game designers issue them two times every year since 1995. Epic Duels is a set of battles between famous characters on different locations. Players choose a major character with one or two minor characters. Each set of characters has its own deck of cards for the attack, defense, or special abilities. Each deck is unique with certain special powers relevant to the major character. There are different modes of play. You can play duels, team games, and elimination games. The game is for up to six players. Battlefields include Geonosis, Emperor’s Throne Room, Carbon-Freezing Room, and a landing platform. There are decorated figures, character cards with life trackers, action cards, wound markers, and rules. This deck building game is a two-player card game where one player commands the Light Side (Jedi, Rebel Alliance, Smugglers and Spies), and another one commands the Dark Side, (Sith, Imperial Navy, Scum and Villainy). Some expansions allow more players. Every player has a deck of objective cards and a deck of unit cards (characters, vehicles, droids, and creatures). Each objective has links to a set of five player cards. Together, you can refer to them as an objective set. The objective set is completely different for every player. The Empire wins if the Death Star score achieves 12, with the score rising on each dark side turn, creating this way a timer of the game. The Rebels win by destroying three dark side objectives before the Empire wins. This board game shows one of the four great battles at the end of Star Wars Episode One: the battle between the Gungan forces led by queen Amidala and the army of droids. One of the interesting features of the game is the simultaneous fight on five boards. Three boards make up the palace where the viceroys of the Trade Federation try to save their miserable lives from the wrath of Naboo. Besides the storm of the palace, the game shows the fight of Darth Maul against two well-known Jedi Knight. 155 miniatures represent battle forces. Special dice for attack and defense drives the battle. In Armada board game, you assume a role of the commander of one of two fleets fighting against each other. Rebel Alliance challenges the Imperial Navy. Whoever you are, the destiny of the galaxy depends on you. Using the dial for maneuvers, you can move your ships across the battlefield. In this battle, you can rely on extremely powerful but big and clumsy capital ships or little space fighters that can easily react any tactical action. To plan the sophisticated strategy, players can use a command stack. In X-wing game, rebel X-wings face imperial TIE fighters in a fierce space fight. Each side has its own set of victory conditions. Select crewmembers, plan your maneuvers, and win the battle. One of the coolest features of the game is a unique piloting dial associated with each ship. Using the dial, you can secretly choose your maneuvers and speed. Both of them reveal during the further action. The best Star Wars board game is Star Wars: Imperial Assault! This board game includes two game types: campaign and adventure modes. In adventure mode, one of the players commands the forces of the Empire and fights against other players. Thus, you and your friend will fight head-to-head to understand who is better. In campaign mode, players fulfill multiple missions; each next mission depends on the results of the previous missions. There is also a skirmish mode where you can muster a team of soldiers and heroes. During the game, all the units can upgrade their skills and have better ammunition. There are a few expansions called after Luke Skywalker and Darth Vader. In addition to the respective figurines, each one of them includes two additional battle scenarios and a side mission of the campaign. 2-5 players can play the game and the game may take about 1-2 wonderful hours to play. The campaign includes over thirty missions ensuring that the campaign replayed many times will never be the same. Feel free if you want to tell about your favorite Star Wars board games. Your opinion is much appreciated. Since the release, Star Wars: Rebellion has been gaining confidence in the gaming community. Thanks to work of big team developers and designers efforts, the game looks amazing! We highly recommend it for those who fed up with Star Wars PC versions and would to try something special. Star Wars: Destiny is a field of epic battles among frozen universe which undoubtedly bring your attention with its storyline. Imagine yourself in cruel world of countless combats and hostile environment, but the beauty of its landscapes_bewitches. Face the mystery and overcome your fear! In Star Wars: Edge of the Empire characters struggle for survival and try to prevent world collapse. Such topic is exactly makes many players tremble and spark their interest again and again. So that game cannot be boring for all the ages anyway.